The search for talent has never been more challenging. More than two-thirds of organizations hiring full-time staff reported difficulties in recruiting for job openings, according to the Society for Human Resource Management (SHRM). This time around, the candidates are driving the bus. According to data collected by MRINetwork, 86% of recruiters and 62% of employers felt the 2016 labor market was driven by the job seeker. Jobvite reports that 65% of recruiters claim talent shortage is the biggest challenge in hiring, while LinkedIn found that finding suitable candidates (46%) constitutes one of the three biggest obstacles to hiring. There's been great effort and energy by smart employers and key partners to lower veteran unemployment over the last few years. And it’s worked. Veteran unemployment rates for October 2017 fell to a record low, from 3.0% to 2.7%. That’s lower than the national unemployment rate, which decreased from 4.2% to 4.1% during that time. So How Do Companies Find High-Quality Veteran Talent in a “Candidate” Market? Finding veterans to hire in the current market climate can be a challenge, even for companies that are solidly committed to increasing the number of servicemen and -women in their work forces. We can help. “Military personnel bring a certain maturity to their role, in addition to a sense of pride and responsibility to our mission. They seem to possess an agility in their thought processes, which allows them to adapt quickly to changing work priorities and conditions,” said one recruiter in the healthcare space. As opportunities for job seekers increase, successfully navigating a candidate-driven market is the corporate world’s biggest challenge. 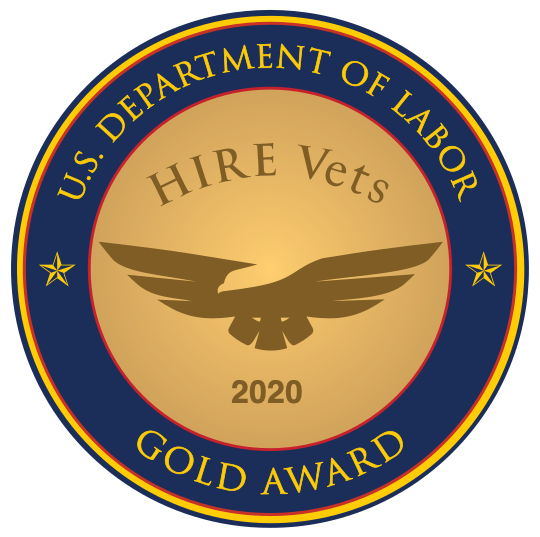 Low veteran unemployment rates demand partnering with experts in helping employers connect with America’s best talent -- its veterans. By partnering with the leading military-to-civilian recruitment firm in the niche, employers benefit from consultative services and a wide variety of products that build, refresh, and maintain veteran candidate pipelines and serve as rallying points for creating long-term veteran hiring initiatives.